The T659 has the versatility and power to operate in applications ranging from general freight to logging, mining or livestock haulage, on or off the highway in single or multiple configurations. 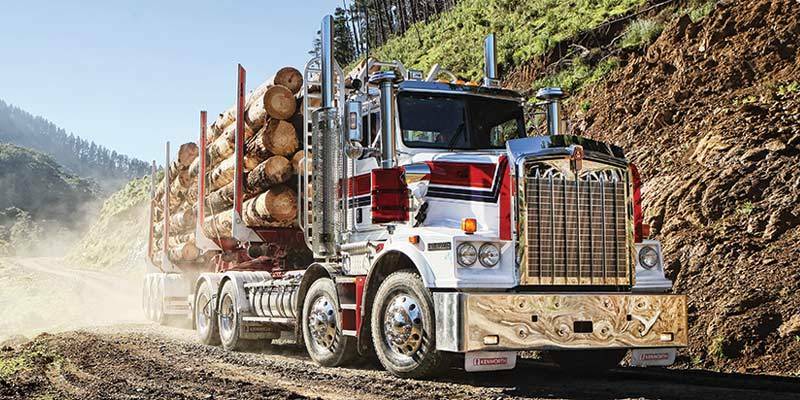 Supreme performance combined with comfort and safety make the T659 one of the most versatile trucks on or off the road. With its distinctive slopping bonnet, the T659 features a drop front frame, enabling room for a large radiator and long-range high performance engine. Available in 6×4, 8×4 and 8×6 configurations and a variety of sleeper options, the T659 features a set-back steer axle for improved turn circle. The T659 is powered by the Cummins X15 Euro 5 engine available in a range of horsepower and torque ratings up to 600 hp and 2050 lb-ft. The X15 features Advanced Dynamic Efficient Powertrain Technology (ADEPT) — a suite of electronic features that interact with Eaton automated manual transmissions, dynamically adapting to operating conditions to enhance fuel economy with no impact on productivity. Manual transmissions are also available in the T659. THE DRIVER IS KEY TO THE INTERIOR DESIGN OF THE T659. The large one-piece or optional twopiece curved windscreen, offers a commanding view of the road ahead with excellent all round visibility.